Former Premier League striker Emmanuel Adebayor has taken his goalscoring prowess to Turkey. The African player grabbed his first goal for the Turkish Super Lig side he is signed onto Istanbul Basaksehir. 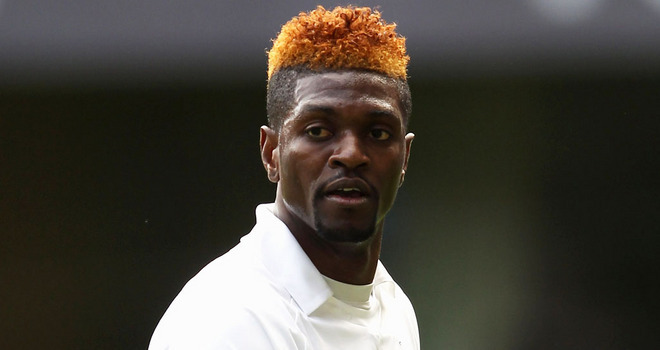 Adebayor hoped to get a contract with a Premier League outfit but he could not. He had to move to Turkey as a free agent as he opted to continue playing professional football. The 33-year old former Arsenal and Tottenham Hotspur striker was released by Crystal Palace at the end of last season. He was rumoured to be on his way to France to play for Lyon during the summer but the deal failed to materialize. He tried getting other clubs to give him a chance but he failed to secure any. The international scene seemed to be the avenue through which he sold himself to get the Turkish deal. He played at the African Nations Cup for Togo, proving he still had it in him. Togo did not go far in the tournament but Adebayor was able to show that he was still in shape despite not playing club-wise in over six months. As soon as the team was sent packing, the Turkish side decided to snap him. The skipper of the Togolese national side was on the scorers’ list in the 3-0 rout of Konyspor. Basaksehir played them at the Buyuksehir Stadium in Konya over the weekend. YalcinAyhan scored in the first 15 minutes to open the scoreline. Adebayor got his chance through a header ten minutes after play resumed in second half. This was his first full debut and he shone brightly. This was Adebayor’s first goal in over a year. He scored last for Palace in the game against Watford. Cengiz Under got the third late in the game to seal victory.